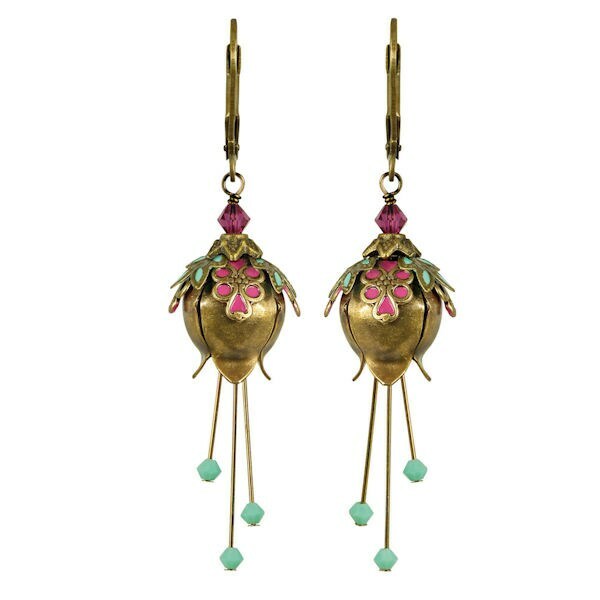 Little blossoms for your ears, crafted in antiqued brass, hand-painted pink and blue filigree, and Swarovski crystals. Fanciful earrings dance on brass leverbacks. Hang 2 ¾". Designed and made in USA.